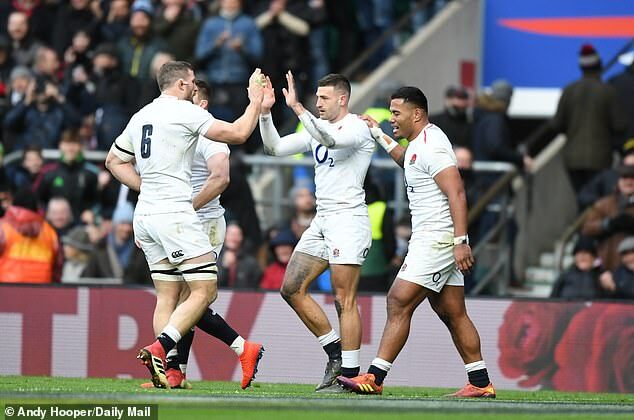 There was plenty to talk about from an action-packed weekend in the Six Nations as England maintained their 100 per cent record in this year’s competition. Ireland also got their first win under their belt while Wales overcame Italy on Saturday afternoon. Sportsmail’s CHRIS FOY runs through a comprehensive round-up of all the goings on from the second round. Joe Schmidt’s side were far from their best, but they have two real playmakers. Johnny Sexton was brave to delay the pass and take the hit for Jacob Stockdale’s try. 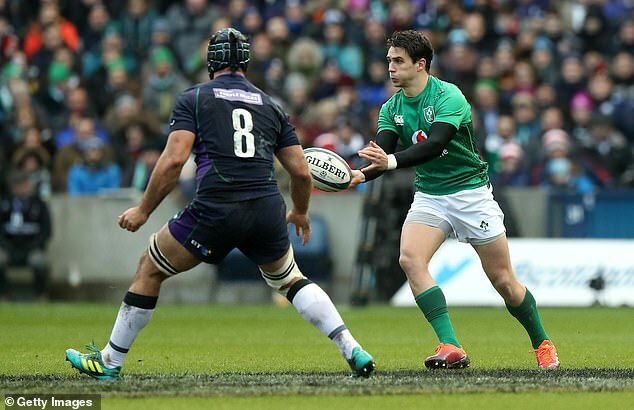 Then Joey Carbery came on at No 10 and blasted between two defenders to race clear before his pass created a try for Keith Earls. Scotland also have a world-class fly-half. Finn Russell’s brilliance was summed up by his assist for Sam Johnson’s try: interception, step, break and sublime off-load. Peter O’Mahony is happy to play the villain. The Ireland flanker was damned by Scots for the late tackle which forced Stuart Hogg off. He won’t care a jot. 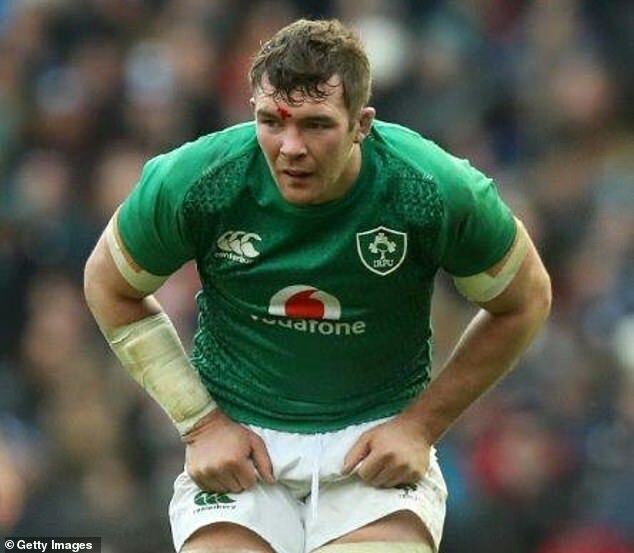 At one stage, O’Mahony forced a Scottish knock-on, gloated and snarled triumphantly, prompting a scuffle. The agitator was in his element. Italy should consider moving some Six Nations fixtures to other cities, rather than rattling around in a half-empty Olympic Stadium in Rome. The attendance was 38,700 on Saturday, leaving 34,000 empty seats. Not a great look. Far better to tap into strong support up north in Milan, Turin or Bologna. Thomas Young passed his Wales audition with flying colours. His Six Nations debut started in style when he won a turnover penalty after 30 seconds in Rome. The Wasps flanker was outstanding and came close to a deserved try in the final seconds, only to be denied by a forward pass earlier in the move. Warren Gatland is in his element. He claimed his Wales side could be ‘embarrassed’ by England on February 23. 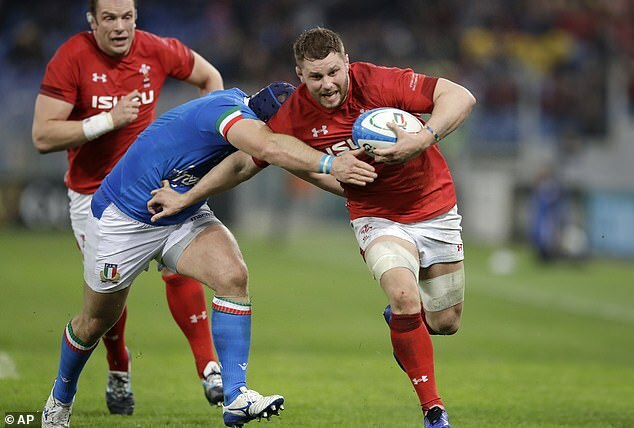 True, Wales were average against Italy, but they are on an 11-Test winning run. Gatland is making a pitch for underdog status but Wales will be far more confident than their head coach is letting on.